Green is the essence of life on our planet. Its soothing, serene hue reminds us of new growth, rebirth, expansion, and all the magic of nature on Earth. There is something elegant and regal about featuring an emerald sofa as the centerpiece of your living space. The gorgeous gradients of green urge us to restore natural balance to our homes, stimulating the abundance of vitality. Pigments of green both induce tranquility, and encourage energizing effects, the perfect vibe you want flowing through your modern home. You want to feel a soothing sensation in your own home, and also for any guests that you receive to feel a sense of natural peace. Celebrate the shades of vivid life, and allow the healing rays to fill your space. 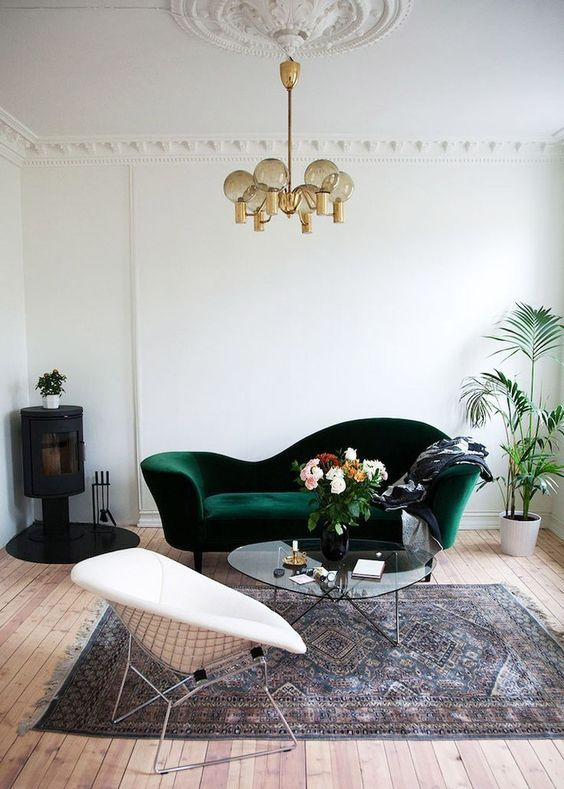 Check out our article on Dark Rooms, and perhaps become inspired to incorporate deep Emerald sofas and sectionals into a nightscape living space!